Sadly we had to say godbye to our multiple champion and much loved stallion at the end of 2018. 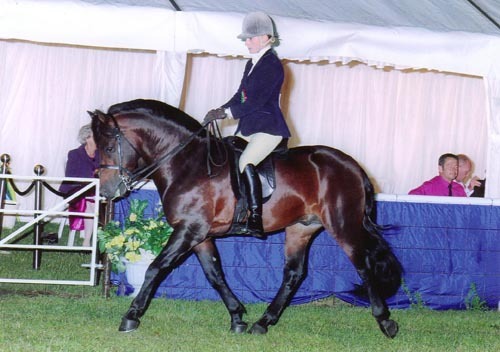 Hollybrooke Rambler had an outstanding career in the show ring since he was first shown as a yearling. 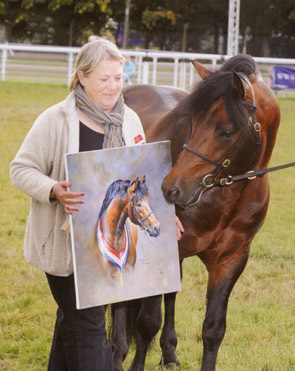 His in hand successes are almost too numerous to mention but included wins at the elite shows Bath and West. NFPEC, New Forest and the Breed Shows (three times!) He has twice been awarded an NPS silver medal. As a three year old he won the supreme championship at the Breed Show. 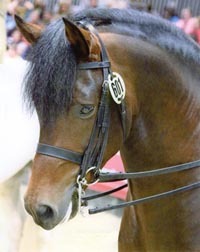 He is the youngest pony to be awarded the overall championship since the Dolly Grey Supreme cup was first presented in 1969. At four years old he not only repeated his supreme win at the Breed show but also won the supreme M & M Champion at the NPS Summer Championship show. 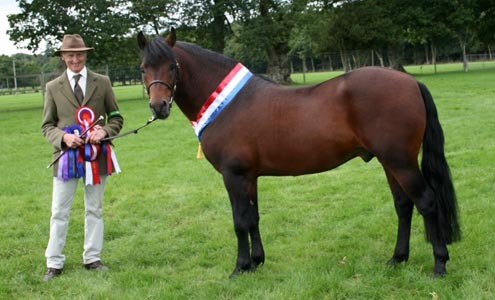 This championship has not previously be awarded to a Forest pony for twenty years. He rarely shown in hand after that as he had nothing left to prove. 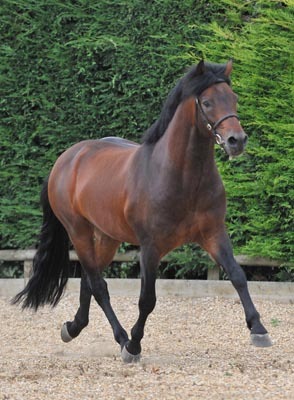 As a five year old he had a year shown under saddle and continued his amazing success. In the hands of Sam Roberts he went to just seven shows, won seven classes, four championships and two reserve championships including qualifying for HOYS. Although we broke him and rode him briefly as a four year old, he had been ridden for just three weeks following a season covering mares before his first show where he won two classes a championship and a reserve. 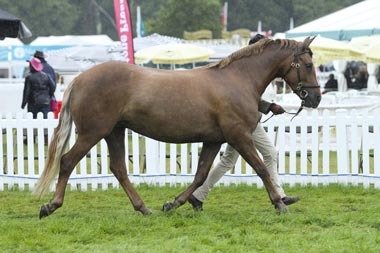 At the NPS Summer Show he won the New Forest Picton final and was reserve Dargavel champion. He competed in evening performances like a seasoned campaigner. Despite being by far the least experienced pony in the class he gave a mannerly and confident performance at HOYS and was the second highest placed New Forest Pony. He combined bone and depth with quality. His temperament was calm and easy which made him a pleasure to own, ride and handle. 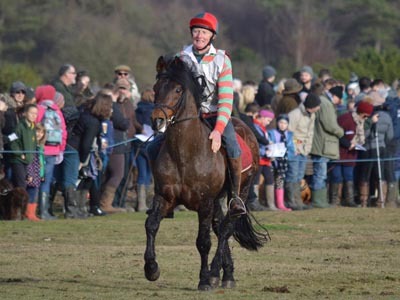 He enjoyed taking part in the roundups on the Forest and also ran in the Boxing Day Point to Point. He easily integrated covering mares with his other duties. We have been thrilled with his foals some of which can be see on the foal pages of the web site. 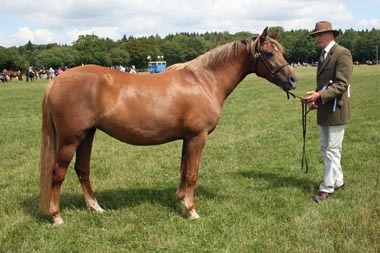 He produced lovely progeny, his daughter Hollybrooke Nutmeg won the yearling filly class at the Breed Show. Another daughter Hollybrooke Grace won the novice ridden class, the junior yeld mare and the prelim dressage at the Breed Show. She also achieved her level one dressage grading with the Breed Society all at just four years old. 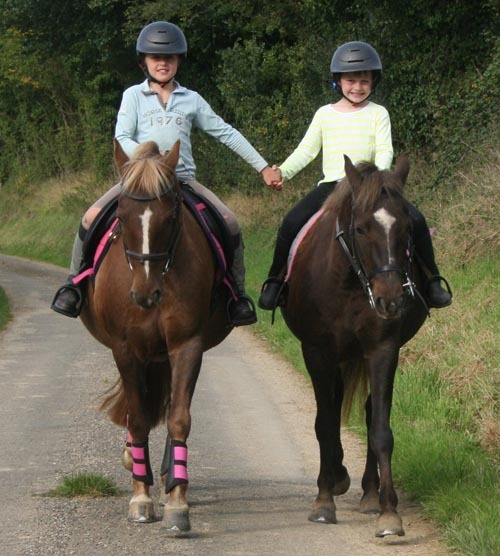 All his children inherited his amazing temperament, our grandchildren are having a wonderful time riding two of his daughters shown in the photo below.